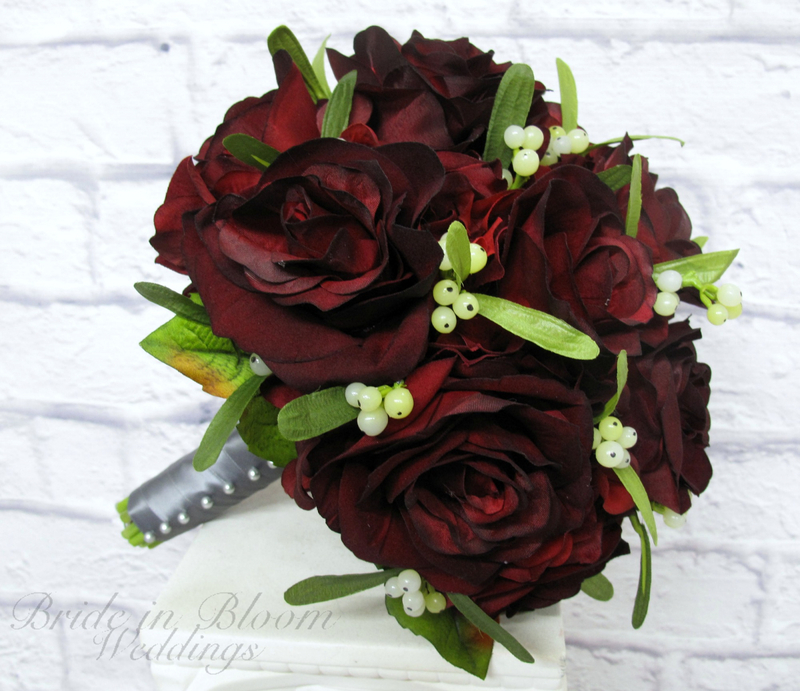 A magnificent combination of velvet touch black baccara roses & mistletoe in this stunning brides bouquet. 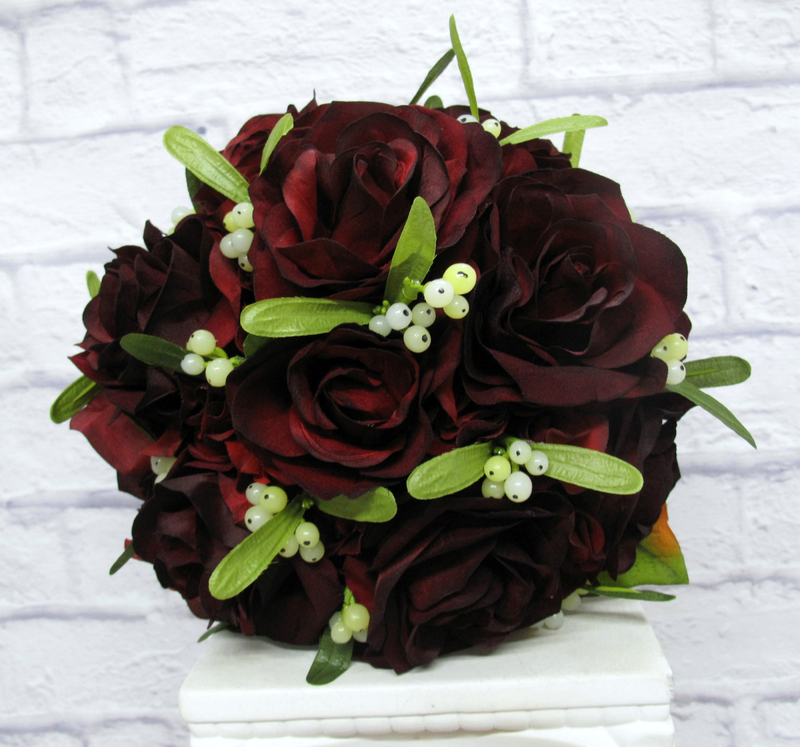 Theses flowers are soft to touch and look so real, you are sure to love them. 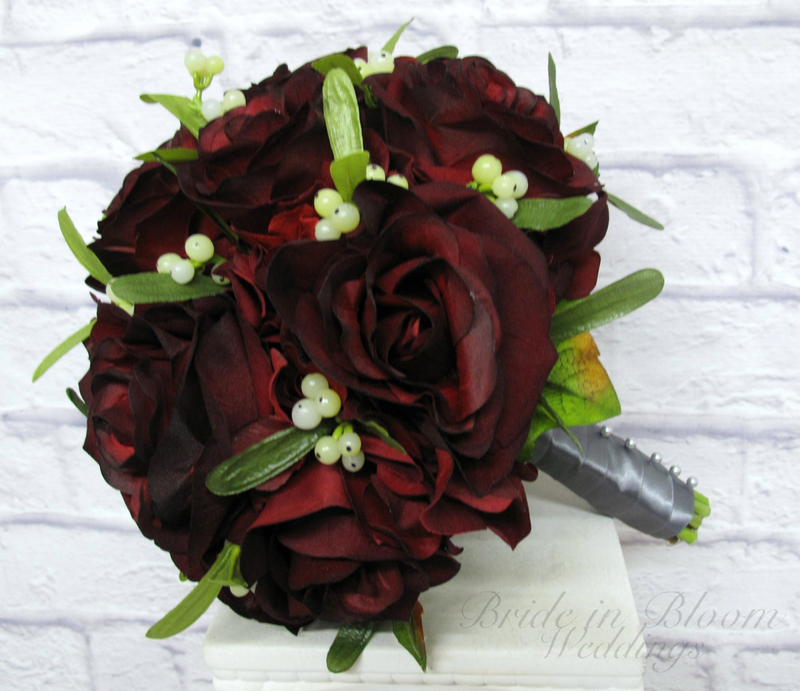 Designed with 18 velvet touch roses on a bed of red velvet hydrangea, bouquet is framed with hydrangea leaves. Handle treatment is finished with grey satin wrap & grey pearl pin detail. 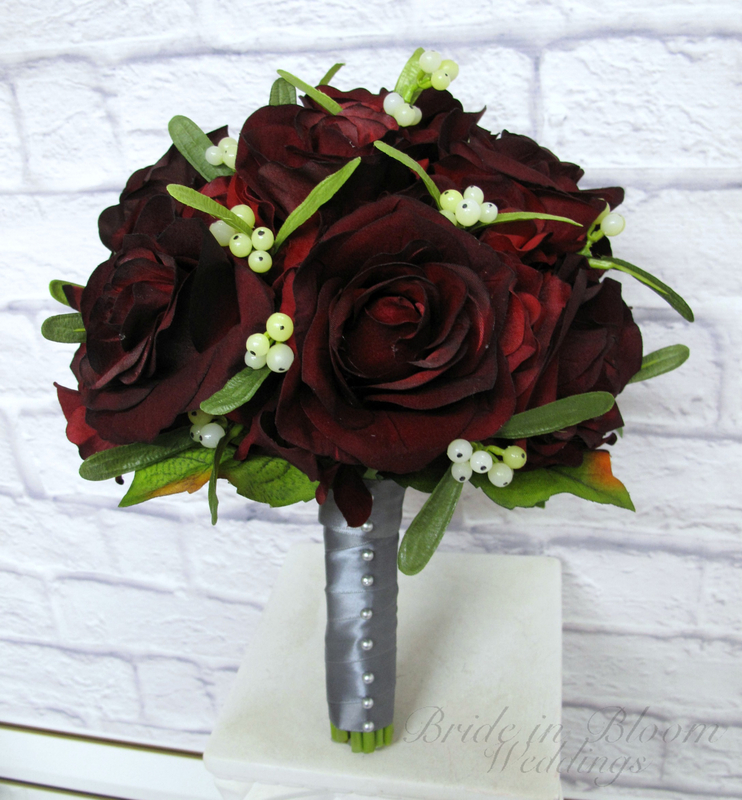 Bouquet measures 10" ( 25 cm ) wide x 12" ( 30 cm ) tall.